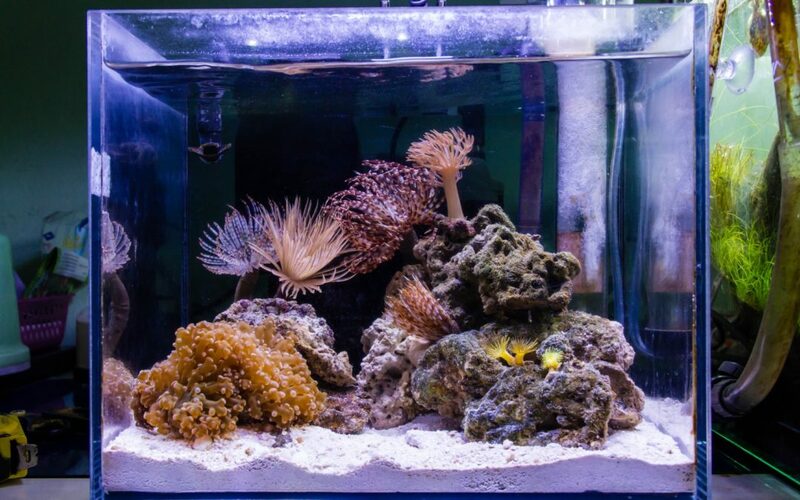 In recent years, Nano aquariums have steadily gained in popularity among aquarium hobbyists throughout Connecticut. A Nano fish tank is a compact aquarium, which is designed to encourage the growth or development of a miniature ecosystem within the confines of a small space. A Nano tank is typically referred to a fish tank that is 10 gallons or less and it provides an alternative to someone who is looking to enter the world of aquarium ownership, but may not have the money or space to manage a large fish tank. For many aquarium enthusiasts, the convenience of owning small home aquarium is very intriguing; however, there are some potential complications to take into consideration. A common understanding among aquarium hobbyists is that the more gallons of water your fish tank can hold, the more room for error you possess. A Nano tank is more susceptible to temperature changes, so you should avoid placing your tank within direct sunlight or a heating vent. Also, when you are selecting fish for your Nano tank, you should take into account what their growth rate is and how aggressive and territorial they will become. However with patience, research, and a little extra understanding, you too can create a vibrant, healthy ecosystem for your Nano Tank. Less expensive than traditional fish tanks. You will require fewer plants, fish, and decorations. Your Nano tank will fit into smaller areas. It will be less of a hassle to perform water changes. Nano tanks are easier to transport. Based in Connecticut and serving residential and commercial customers throughout the tri-state area, Normal Aquatics designs and installs custom aquariums as well as performs ongoing aquarium maintenance services. Allow our expert team to design and build the perfect that will suit your requirements and ensure your aquarium gets the care and maintenance that will allow your aquarium ecosystem to remain healthy and vibrant for many years to come. Contact us today to schedule your no-cost estimate and consultation!